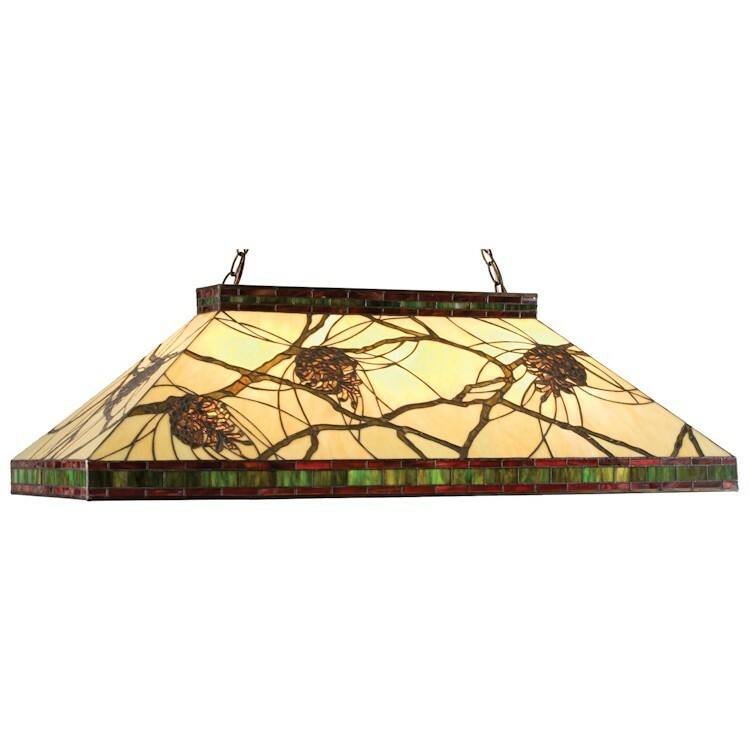 Burgundy and forest green bands edge this woodland Burgundy Pine Branch Mission Oblong Pendant Light. 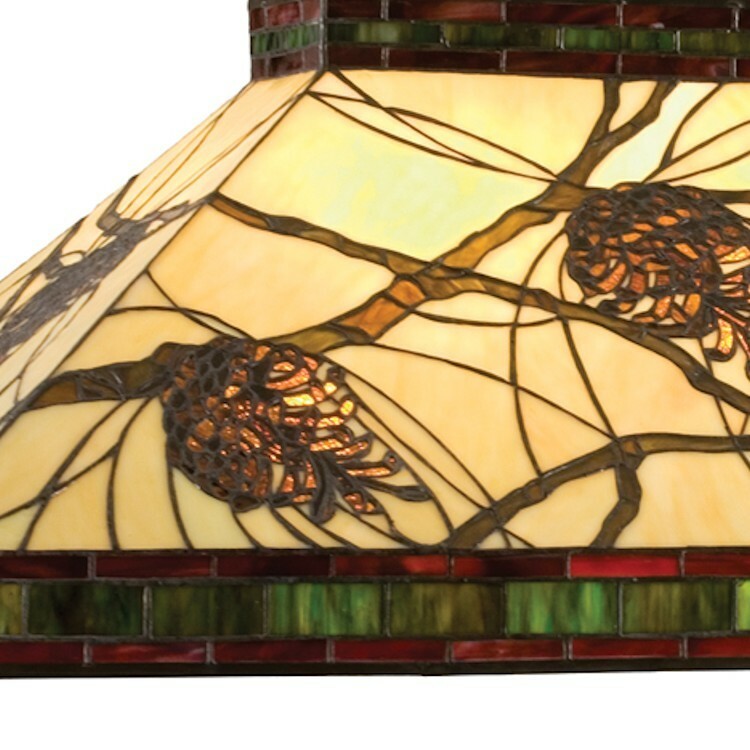 The shade features Brown pinecones and Bark Brown branches on a Beige stained glass. 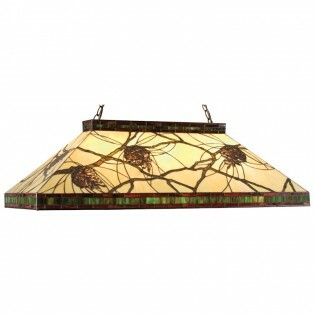 The canopy and chain is hand finished in Mahogany Bronze.